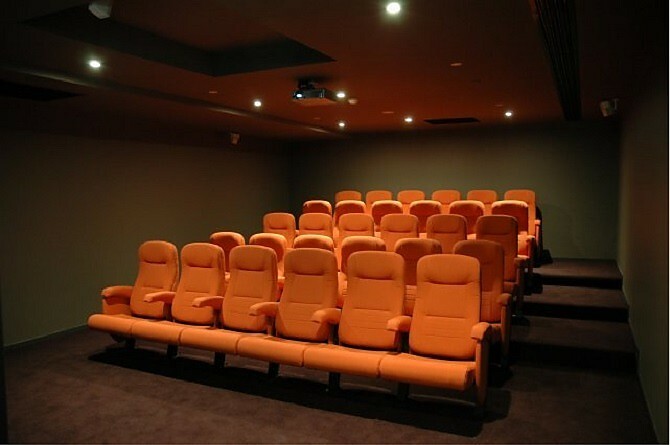 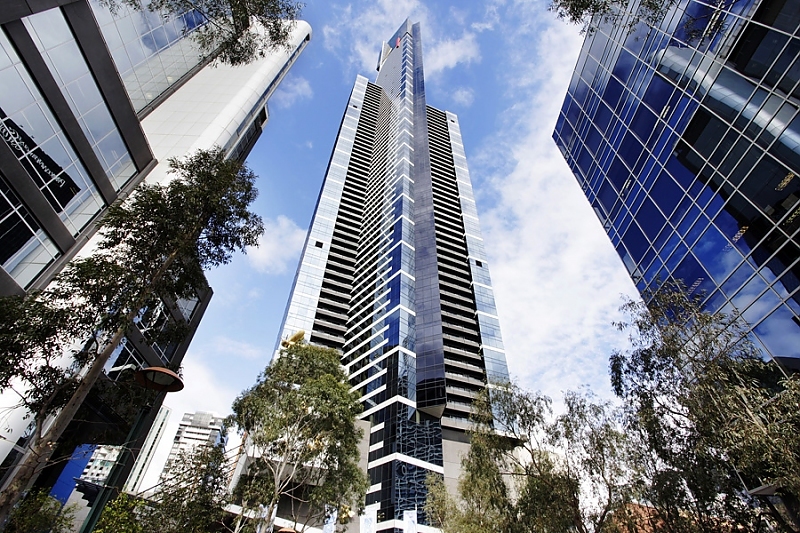 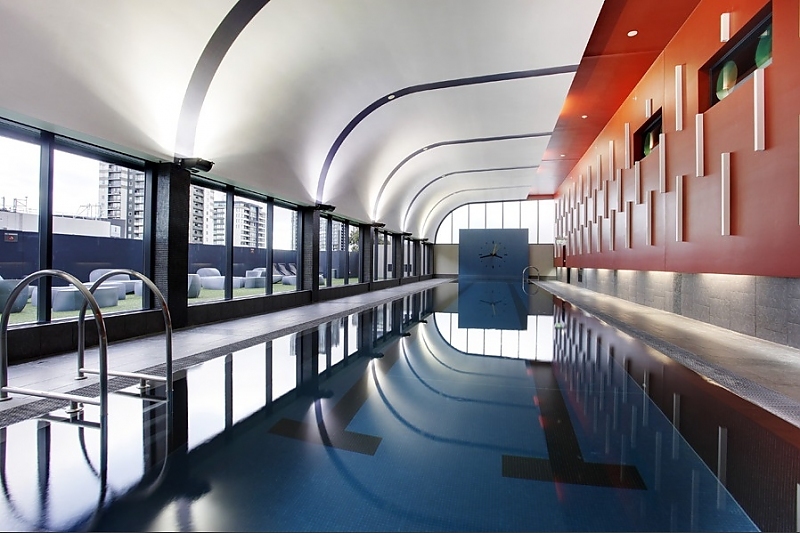 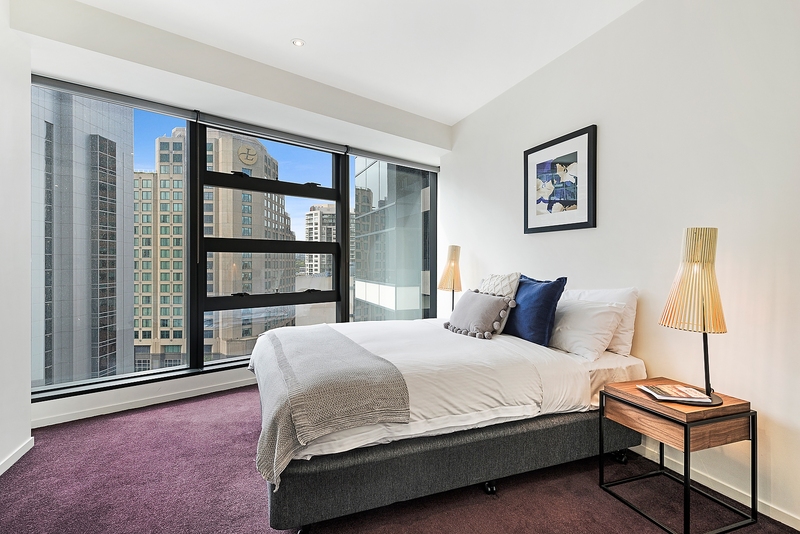 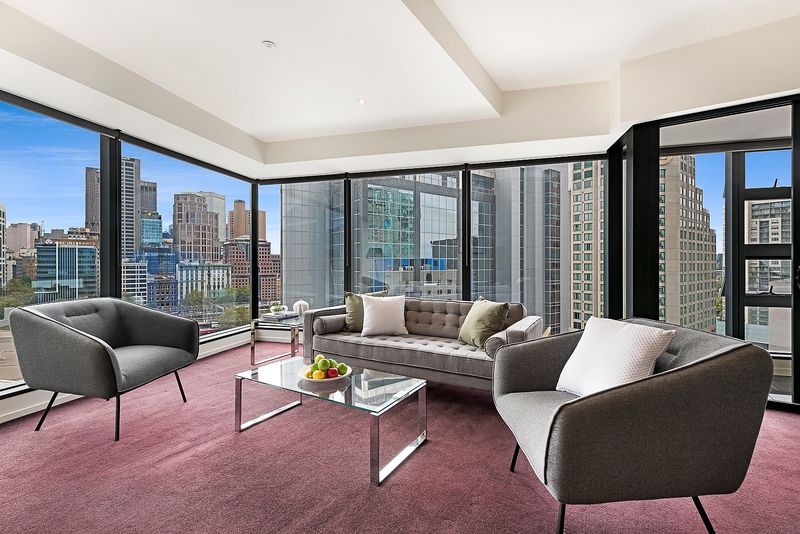 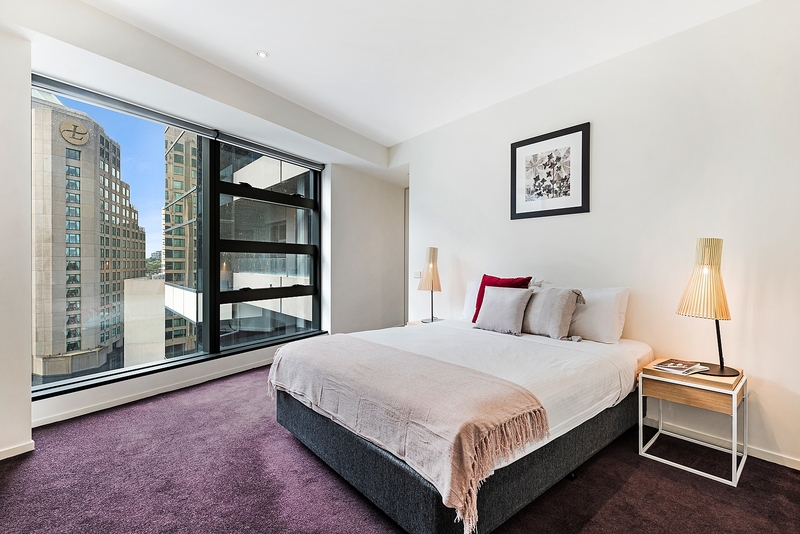 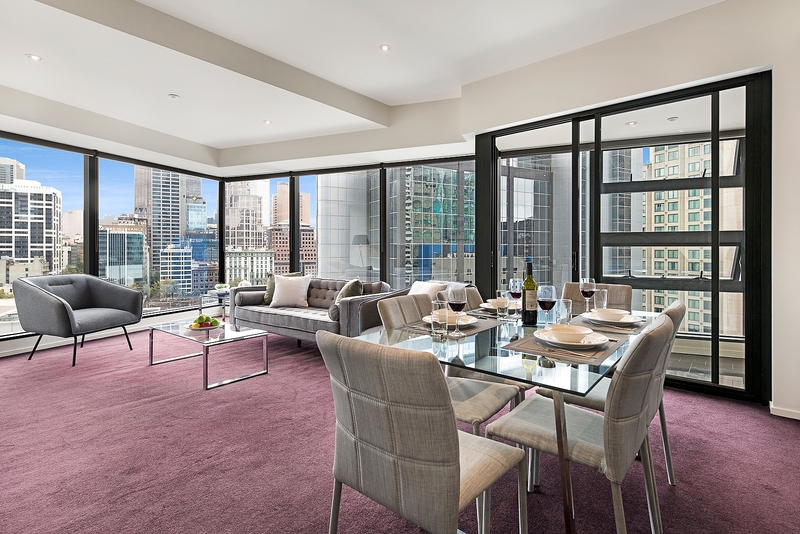 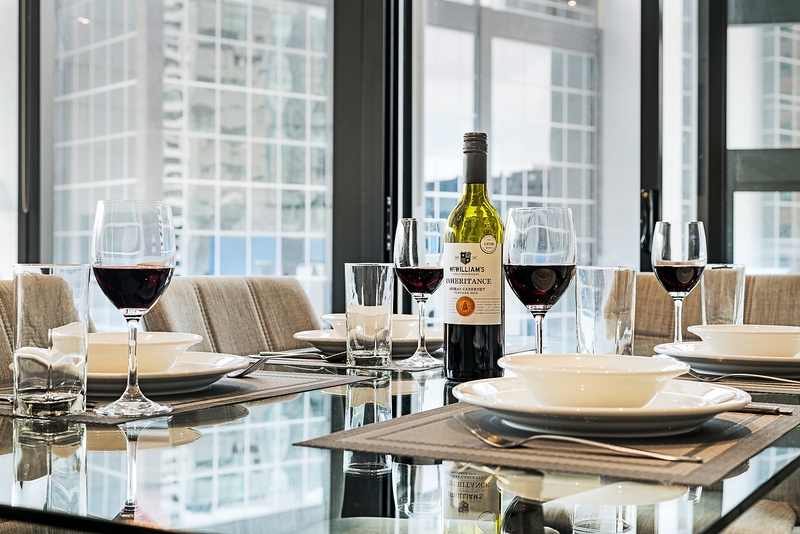 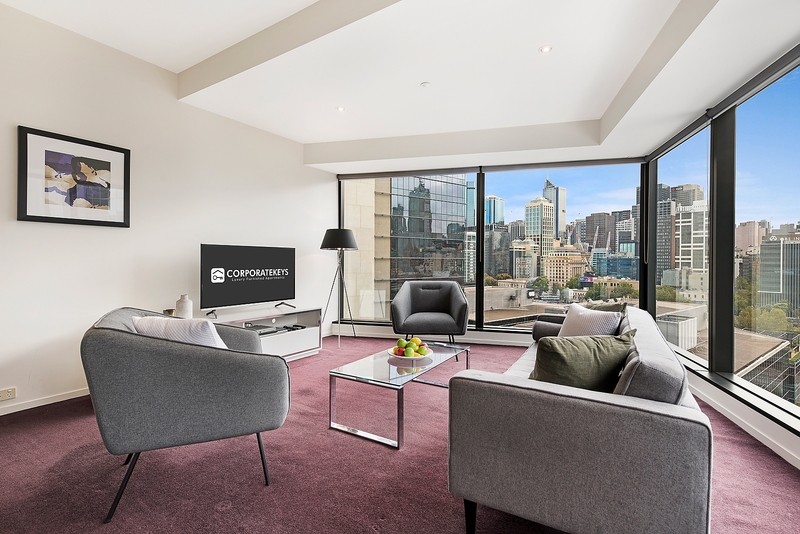 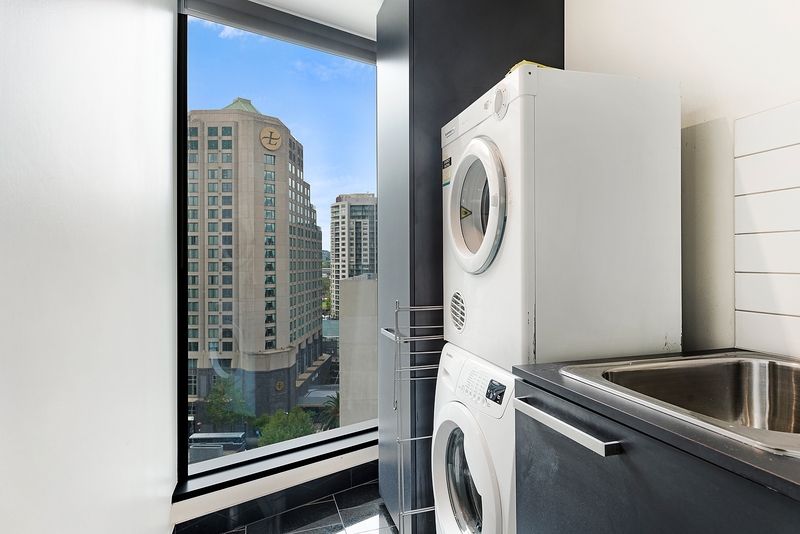 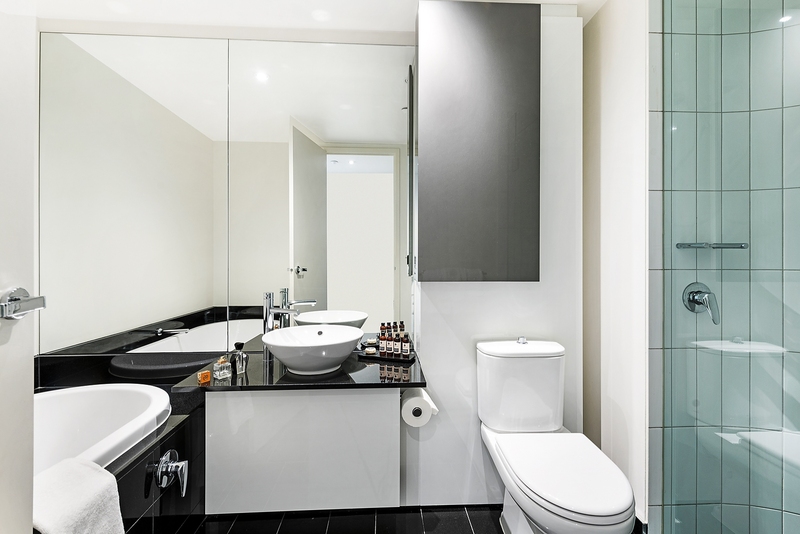 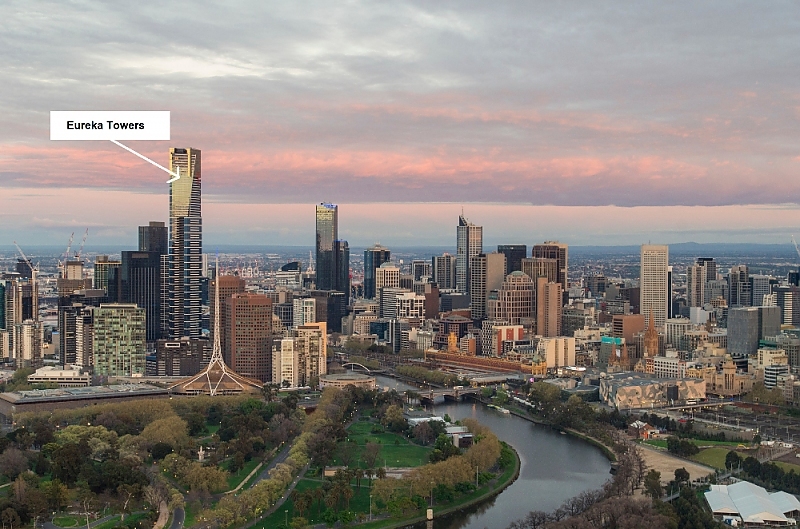 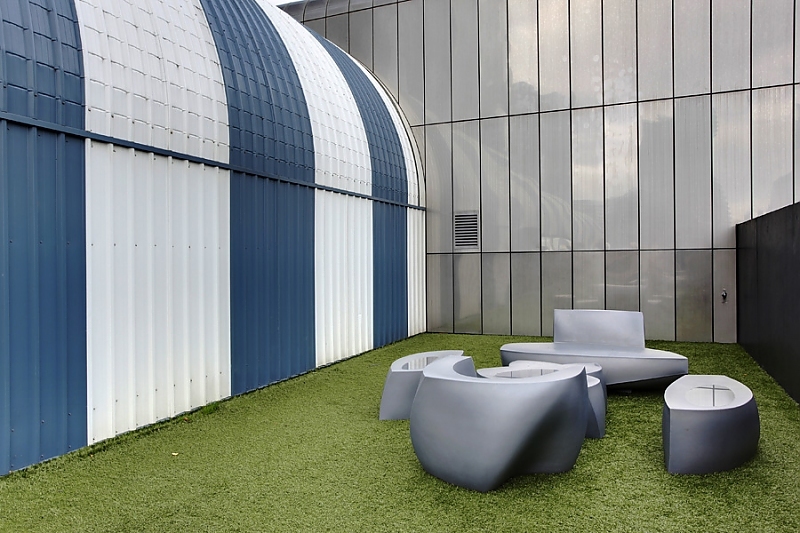 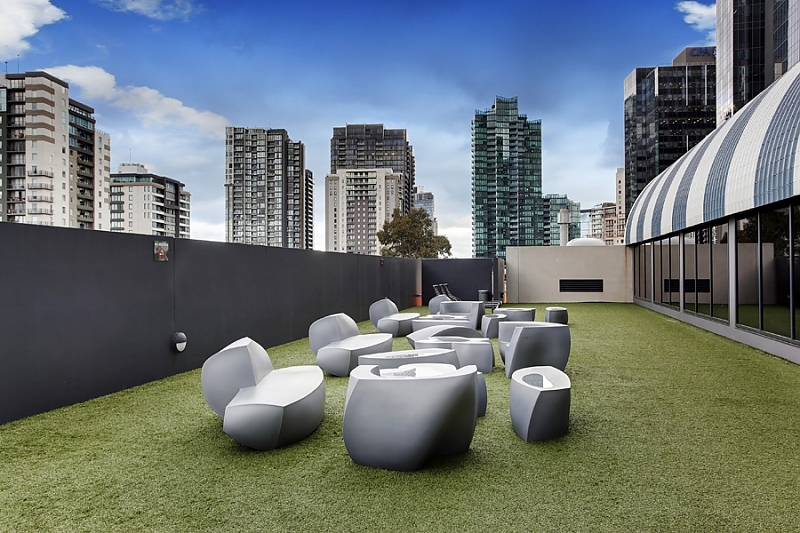 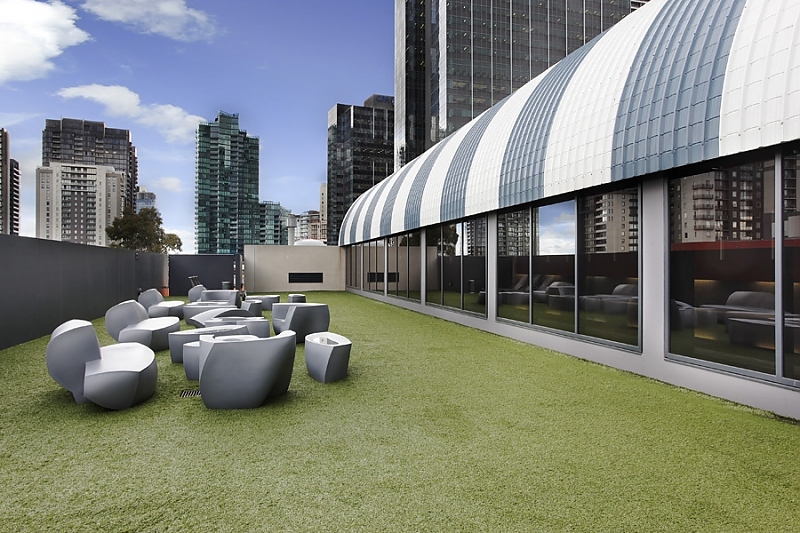 You’ll love the prime corner position and breathtaking city views from this quality two-bedroom, two-bathroom security apartment in one of Melbourne’s most exclusive residential buildings, located steps to Southbank’s vibrant entertainment venues. 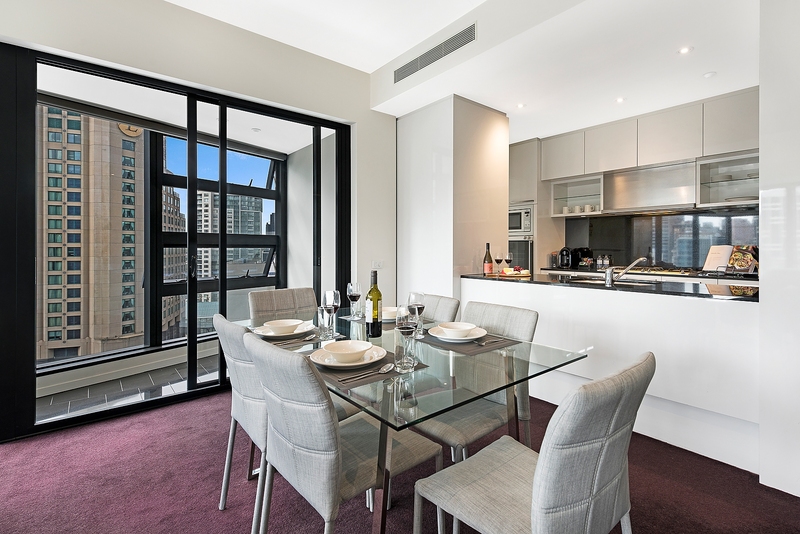 The open-plan living/dining room takes full advantage of the apartment’s corner location that showcases stunning 270-degree city views. 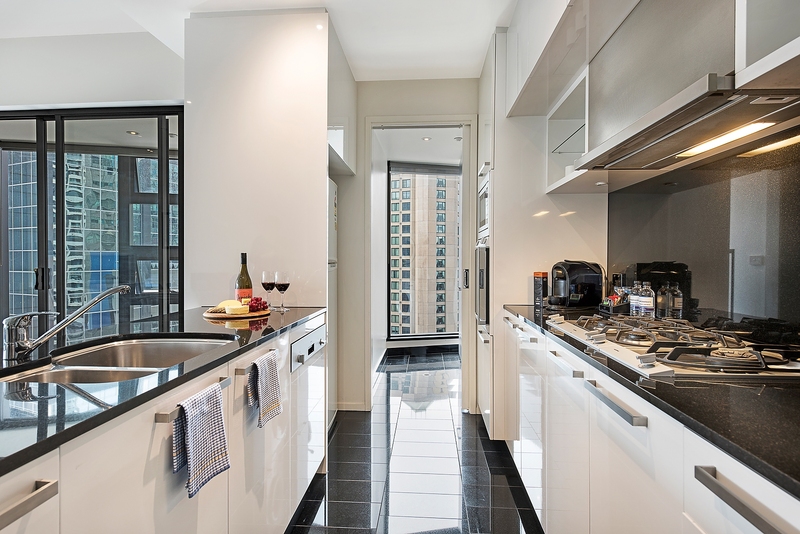 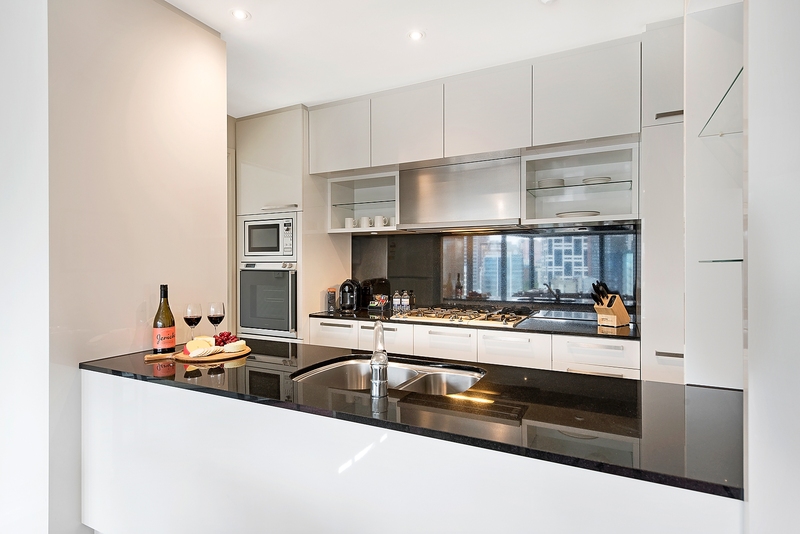 The adjoining chef’s kitchen in modern monochrome will encourage plenty of home cooking with breakfast bar, sleek black stone bench tops, and quality European appliances. 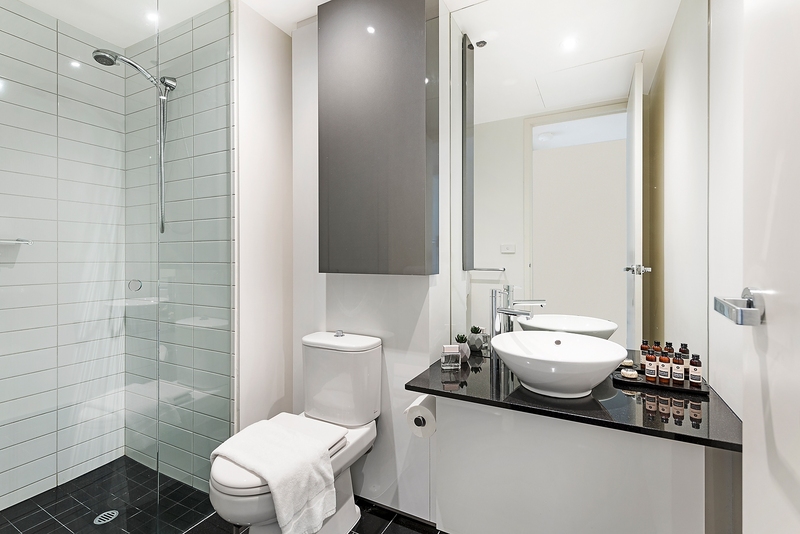 The master bedroom features a walk-in robe and ensuite with separate bath and shower, and the second bedroom – with a built-in robe – is opposite the modern main bathroom with large shower and stone-top vanity. 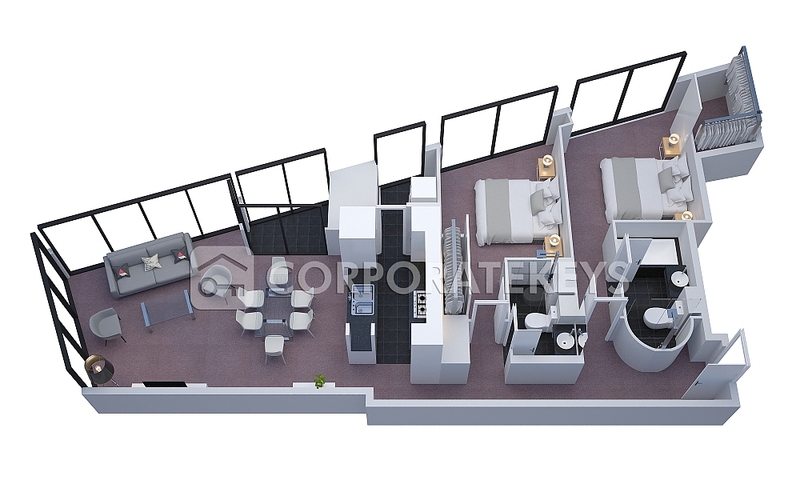 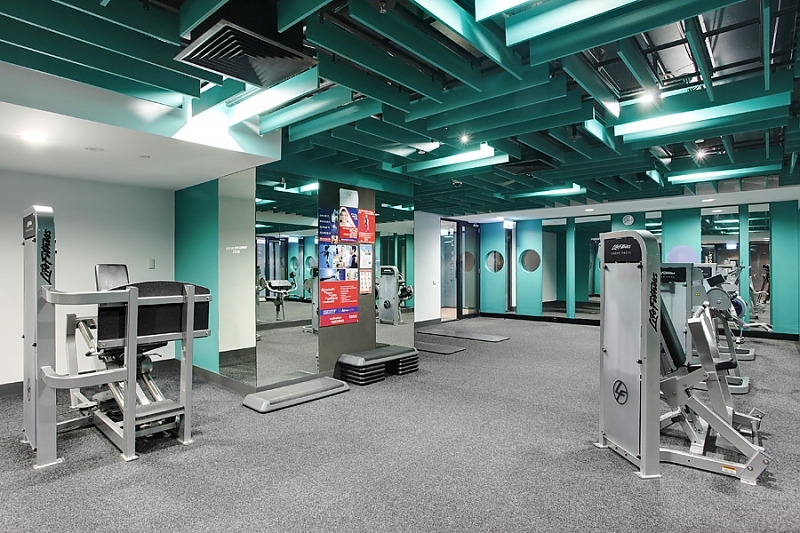 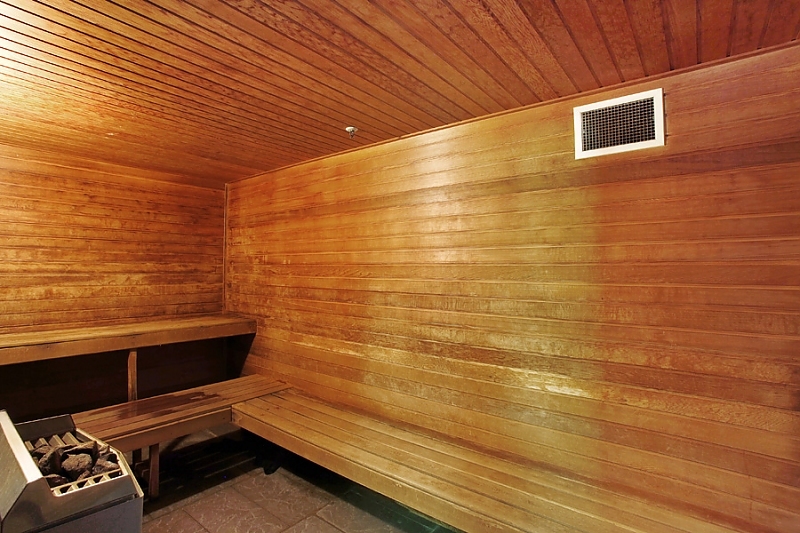 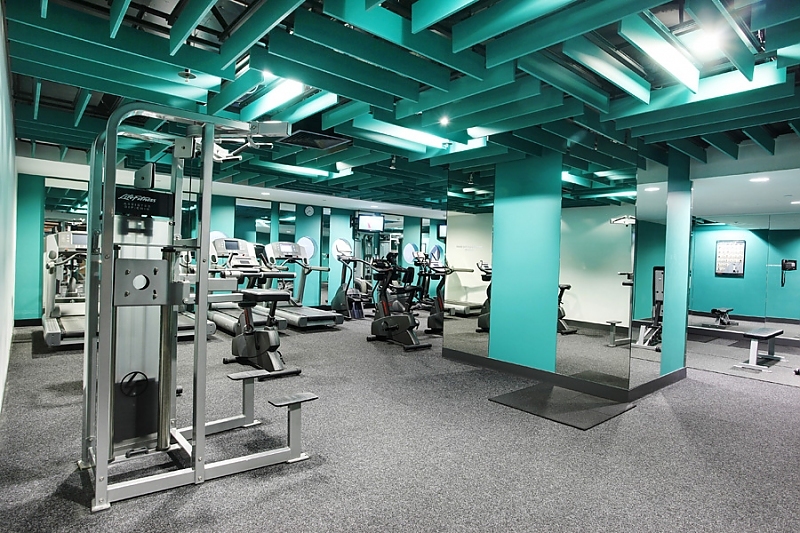 A study nook off the living/dining room and a separate internal laundry add convenience, and an on-site lap pool, sauna, gym and private 30-seat cinema will keep you busy away from work.